A recent survey has revealed the startling statistic that over 16 million people in the UK have less than £100 of savings. In five areas of the country – Northern Ireland, the West Midlands, Yorkshire and Humber, North East England and Wales – over 50% of the adult population has savings amounting to less than that amount. The South East had the lowest amount of people with savings of less than £100 at just over 30%. The research by the Money Advice Service (MAS) was carried out by CACI, a consumer data company with 48 million adults in its database. Whilst the results suggested that saving was particularly difficult for those on low incomes, they also showed that around 25% of adults with less than £13,500 in household income have over £1,000 in savings. Additionally, two in five people in the same bracket are able to put some money away each month. Surprisingly, 45% of those without savings earned a household income over £30,000, meaning they are not considered to be low-income. This means that they should be in a position which allows them to build up a savings buffer in order to overcome financial obstacles. The reasons behind the lack of savings are also concerning. 47% of those who are in a position to save said they simply didn’t have any financial goals for the next five years, whilst slightly more at 49% expressed a preference for living for today over planning for tomorrow. 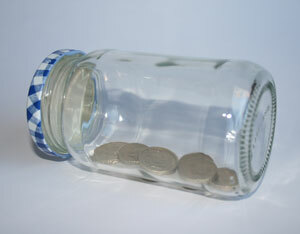 The Personal Savings Allowance introduced in April will help those who save get a little more from their money too. It allows those paying a basic rate of tax to earn up to £1,000 in a savings account annually whilst paying no income tax. For higher-rate tax payers, the amount is reduced to £500, whilst those paying the top rate of tax can’t take advantage of the allowance.